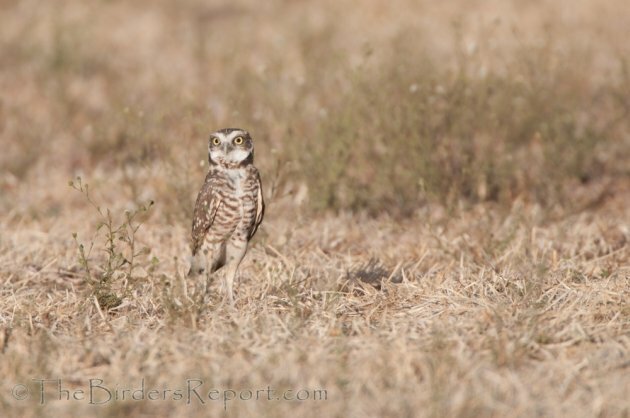 The Western Burrowing Owl (Athene cunicularia) has had a compelling story and rallied the public around it for at least the last fifteen years as its population has declined at an ever increasing rate. If this bird doesn’t deserve this conservation award, I don’t know what species does. Click on photos for full sized images. 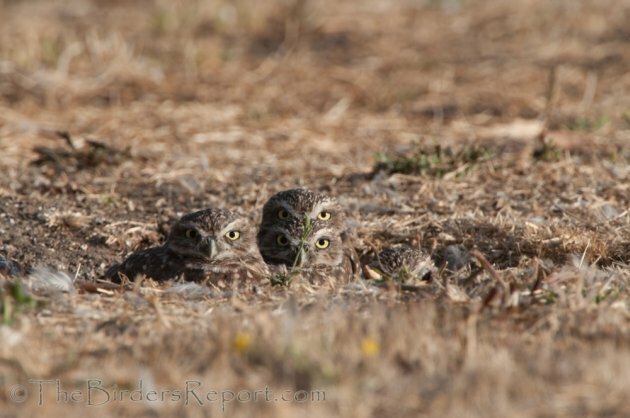 These Burrowing Owl photos were taken at a rare breeding site in Vacaville California. It is typical because it is on a small piece of land in the midst of a developed, and developing, urban area. These birds are surviving on a sliver of land surrounded by car dealerships, urban sprawl, and luckily, Green Tree Golf Club (see map). 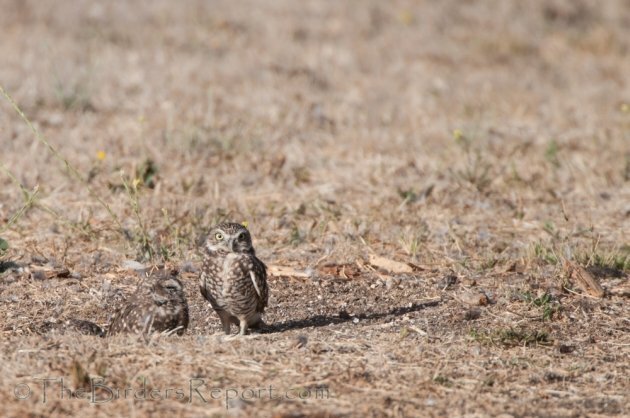 Burrowing Owls are notoriously difficult to spot, even for the trained eye, since they are low to the ground and blend in to their background. This is what a group looks like when you arrive in their territory and they are at their burrow entrance. There are actually four birds in this photo. These were taken right outside the golf course fence and within a hundred feet of a car dealership parking lot. 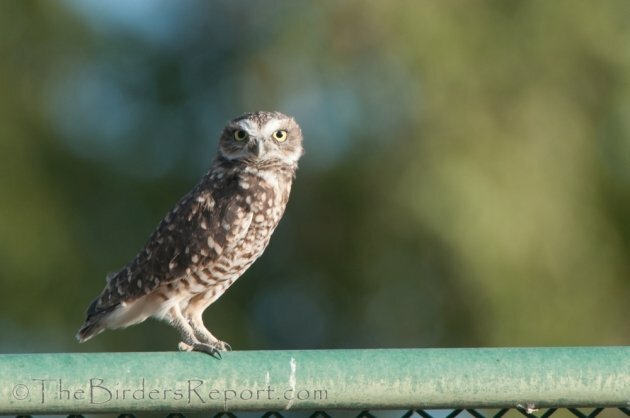 One of the adults flew up to the top of the fence to keep an eye on me from a better vantage point. These little guys fly pretty quickly but I managed to get a shot of him taking off from the fence. 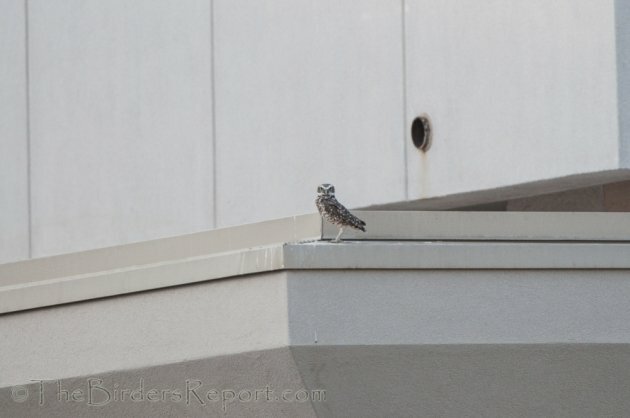 He flew across a busy street to another car dealership where it looks as if he is a frequent visitor. These owls are getting squeezed into smaller and smaller territories as developers take their habitat for homes, factories, office buildings and businesses. We need to protect their remaining habitat and spread the word of their predicament. 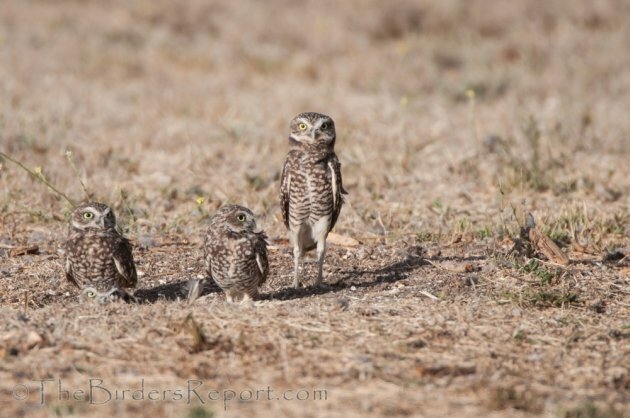 One way we can do that is by voting for the Burrowing Owl as the California Audubon Bird of the Year in 2013. 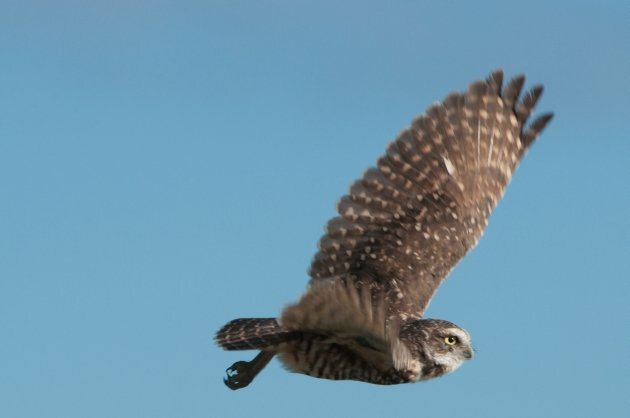 You can vote as often as you wish so please, vote for the Burrowing Owl now, and often, until December 6th. We can make that headline a reality if we spread the word and get out the vote! Thanks Meredith! I have heard something about how folks vote in Chicago 😉 Maybe you can get all your friends to vote for the owls too! What is it about BUOWs and car dealerships? I dropped my Saturn off at the dealership (Stevens Creek Blvd, Santa Clara, CA) late one night early in the millennium, and I was surprised to see a little dude moving about the lot. It wasn’t terribly far from the SF Bay Lands, or Alviso wildlife refuge where I’d seen them before, but still… BUOWs and car dealerships? As always, your posts inspire me. I cannot wait to get a look at these sweet, brave creatures – now that you’ve shown me where to look! Awww. 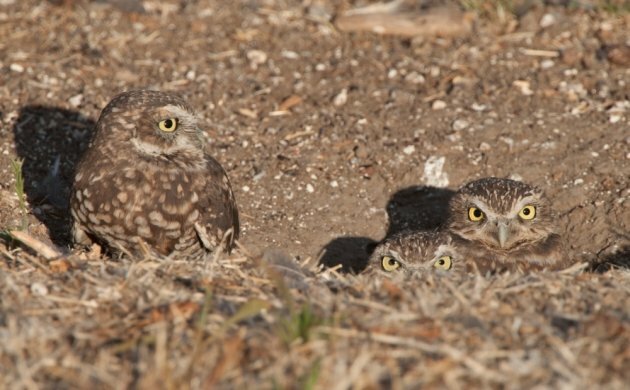 How I miss burrowing owls. I lived across the street from a park inhabited by prairie dogs and burrowing owls. We had a three mile track around the park and the trail looped in and out. I was always so pleased to see those little heads bobbing up and down when I walked by.